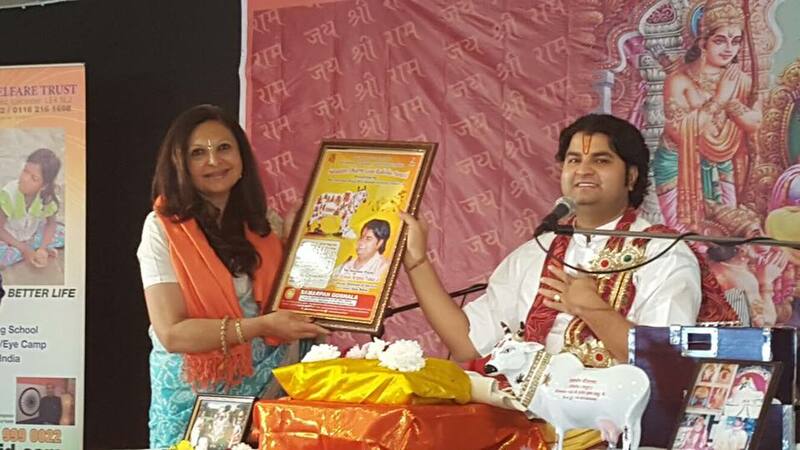 DSF is proud to receive a ‘Gau Raksha’ award from PP Sanjiv Thakorji at the ram katha he did in London. The award was in recognition of the work with women and girls in India as well as for Gau sewa. The event was also broadcast on Aastha.